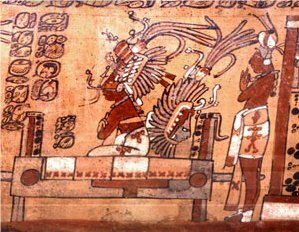 What did the Maya nobility do with their animals? Did they eat fancy meats and exotic shellfish? Did they display “trophy heads” like big-game hunters today? Did they buy only the best bone needles? Did they wear only the fanciest bone adornos? 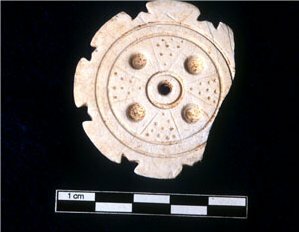 Dr. Takeshi Inomata, director of the Aguateca Archaeological Project and professor at Yale University, has discovered one of the most remarkable archaeological assemblages known in the Maya lowlands. In the Petexbatun region of the Guatemalan Peten, warfare was a way of life. Aggressive expansionistic nobles vied for territory and status, and eventually caused the abandonment of the region. At the site of Aguateca, despite the fact that the kings had an enormous defensive system erected around their palaces, the site was attacked, burnt to the ground, and abandoned. However, luckily for us, the abandonment was so rapid that the kings and nobles dropped their worldly goods on the floors of their houses in great piles of detritus that provide us with a complete picture of elite household activity at around 800 AD! Dr. Emery has taken advantage of this marvellous situation to examine the details of the elite use of animal materials — everything from animal protein for food, to animal bone for tools, to animal shell for personal decorations.